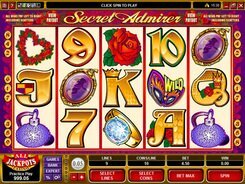 Secret Admirer is a 5-reel 9-payline video slot themed around love. The symbols are playing cards from 7 to A as well as themed icons like roses, perfumes, a heart-shaped bouquet made of roses, pendants, etc. 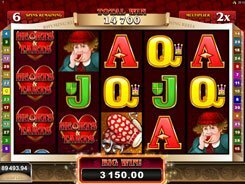 The slot features a wild, a scatter, free spins and the largest jackpot prize of $50,000. A coin size is configured from $0.01 to $1. 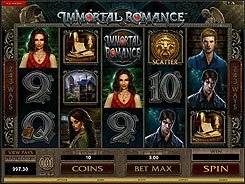 Betting a maximum of 10 coins per line, you can place a total stake of up to $90 per spin. A wild represented by the Mask substitutes for all non-feature symbols and is the biggest payer in the game. 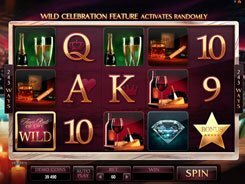 The Diamond Ring is a scatter, with these two or more awarding three initial free spins. 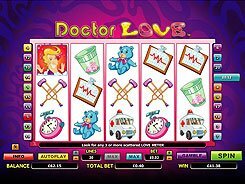 There seem to be very few free spins as compared with other 5-reel slots, but the point is that the triggering scatters will be held in place during the feature. Whenever a diamond ring lands in any position during the free spins, the feature gets reset and you can benefit from additional 3 free spins. This can repeat until you get five scatters anywhere on the reels.